The town of Komárno is located in the south of Slovakia with a population of almost 36.000 citizens. Through the town of Komárno flows the Danube, once representing the border between Hungary and Slovakia, nowadays simply a picturesque part of Komárno’s landscape. With the establishment of the European Schengen area the Elisabeth Bridge over the Danube is no longer a border crossing, but remains a vital connection between Slovak and Hungarian people. However, the fall of the border is not simply a relief for travelling from one country to another; it is a strengthened connection between two cultures, traditions and peoples striving to overcome the ever-lasting burden of historical conflict. A bridge is not only there to be crossed, but most importantly to be constantly built and strengthened. 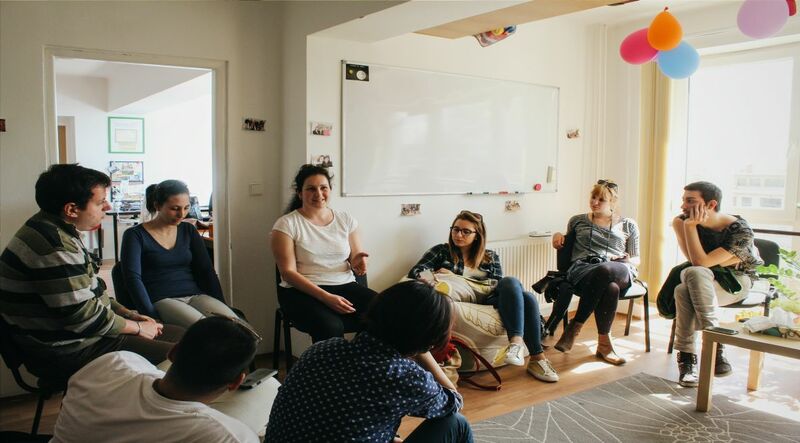 One of the greatest bridge-builders between Slovak and Hungarian people in Komárno is the NGO Tandem, a training and development organization aimed at equipping young people with skills and competences to make them more self-aware and conscious about their abilities and opportunities. The desired impact of the trainings which involve secondary school and university students is to make them realize their individual potential and pursue their career goals without being defined by their national origin. Having in mind the few opportunities Hungarian youngsters have in such a small community as Komárno where even the functioning of schools is brought into question due to lack of students, Tandem focuses on giving them the necessary skills they need nowadays to be able to pursue a career within the Slovak society, without feeling excluded or as if they need to move to another country to succeed. Detecting the need for change in this mixed community, Tandem does not only focus on the new generation, but also involves parents and teachers, so as to engage all parts of the system in overcoming common challenges. Mária Borvák, a trainer at NGO Tandem from Komárno, says that consequences from the historical conflict between Slovak and Hungarian people are still visible. People who have never met anyone from the other ethnicity have many stereotypes and are unable to see the individual veiled by national identity. Another issue is severe nationalism in parts of both nationalities which contributes to hatred without any rational reason for such behavior. “Slovaks believe this part belongs to Slovakia, but they don’t think these people belong to the Slovak nation”, said Mária. On the other hand, an important characteristic of this region are mixed marriages which have brought Slovaks and Hungarians together, but raise a new issue for their children. As a matter of fact, children coming from mixed marriages find it hard to define themselves within one national group and face an identity crisis later in life. From this arises the need for Tandem’s trainings. “The goal of our trainings is to strengthen the students’ self-esteem so much that they don’t feel threatened by someone else”, said Mária. Overcoming the insecurities of youngsters in this community is a priority, since there is much more for them out there except the two possibilities most of them identify. Hungarian students believe there are only two roads to success for them: learn Slovak to integrate fully or move away from Slovakia to Hungary or another country in the EU. Hungarian parents even send their children to Slovak schools because they believe children would have bigger chances for success that way, but a research conducted by NGO Tandem has shown that this is simply not true. 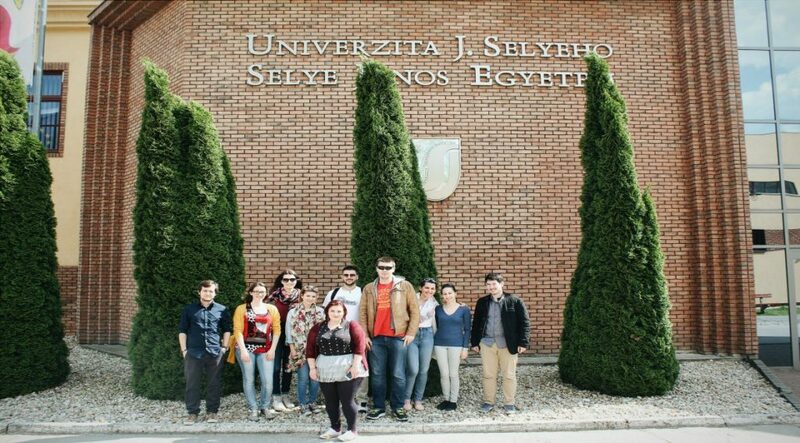 The story of three Hungarian students at the J. Selyeho university in Komárno says that the future for young Hungarians is quite a bright one. 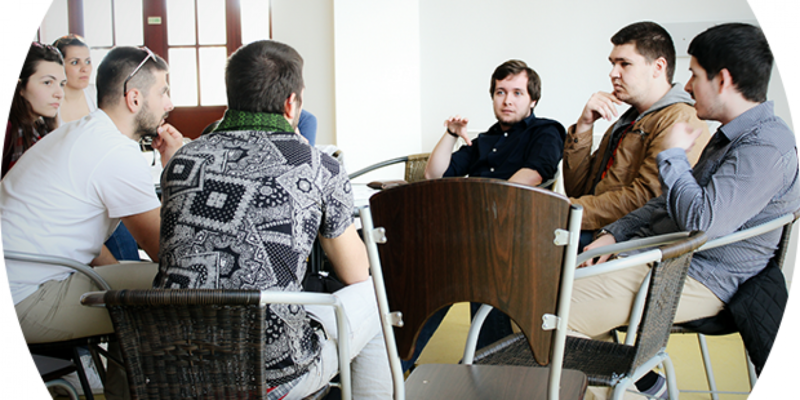 The university was established twelve years ago and offers courses for Hungarians in their mother tongue. Atilla, Mihály and Ádám are currently pursuing their degrees in fields such as business, history and English, striving to become teachers. For them Slovak language is a challenge, but they also believe that they would be able to get employed soon after graduating since teachers are needed to teach in Hungarian schools. Born and raised in Komárno, they have never faced discrimination or violation of some of their rights and freedoms within Slovak society and believe they are fully integrated. Even though other people believe that Hungarians face many stereotypes and problems in Slovakia, they personally have never faced something like that. Furthermore, they believe that Slovakia offers them equal opportunities for them to study and work just like their Slovak peers. The bridge between Slovak and Hungarian people seems to be stronger than ever. Learning more about oneself and each other from both sides has helped both nationalities come to the same side. The holes on the bridge once created by ignorance and insecurities have now been filled by mutual understanding and joint efforts to strengthen the bond between two peoples. The relations between Slovaks and Hungarians remain challenged, but it is much easier to overcome these challenges in a team. *This article is a result of the Youth Exchange “Raise Your V.O.I.C.E. 0.2”which focused on raise the voice of marginalized groups across their societies, highlighting the true obstacles they face as the result of the “stigma” put to them by “legitimate society”, or the society living within the margins. The Youth Exchange was hosted by the team of Mladiinfo Slovensko from 13-20 April, 2016 in Bratislava, Slovakia.